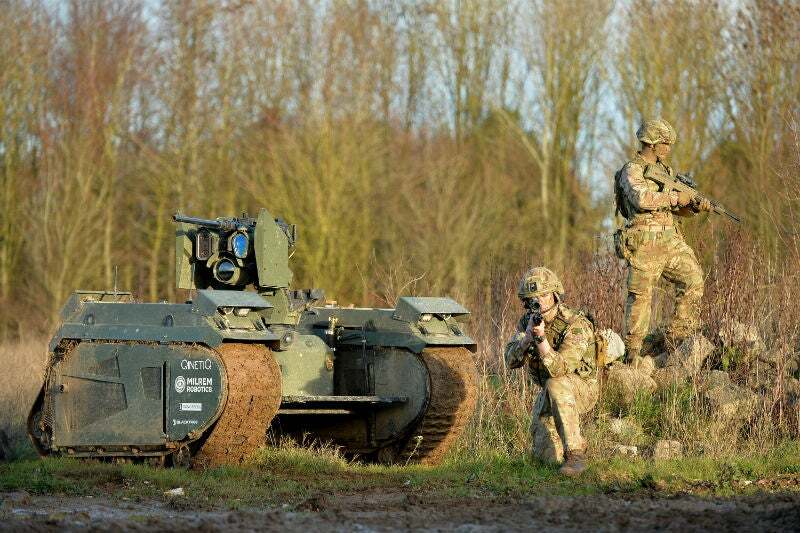 During the four-week Autonomous Warrior exercise at Salisbury Plain in November 2018, British troops and industry partners developed and tested more than 50 prototype technologies including enhanced surveillance drones and unmanned vehicles. 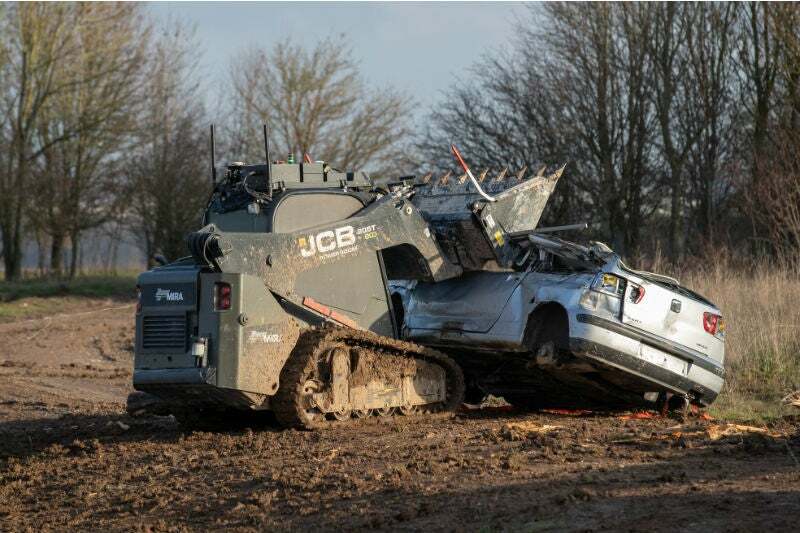 What did the MOD learn from the exercise and how can the technologies be used to serve and protect troops on the ground? 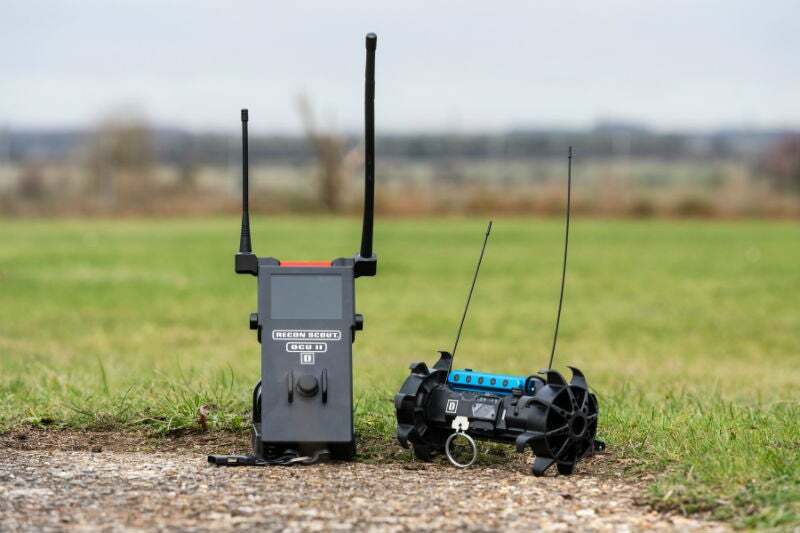 At Exercise Autonomous Warrior 2018, the UK Ministry of Defence congregated with industry partners to develop and field-test a range of unmanned ground and aerial vehicles. Credit: UK MOD/Crown Copyright. Throughout November last year, Exercise Autonomous Warrior Land 2018 was in full swing. 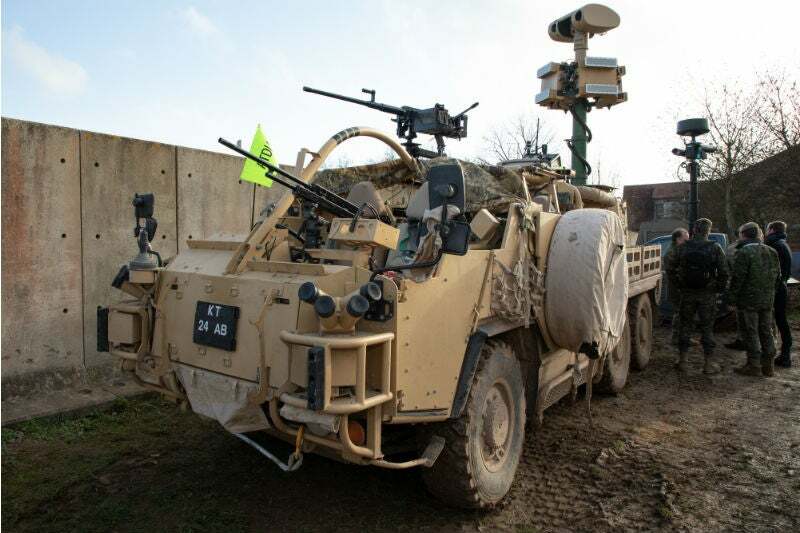 Defence technology experts congregated with British troops at the Salisbury Plain Training Area to develop more than 50 prototype unmanned aerial and ground vehicles, built by leading defence organisations to reduce danger in the field. 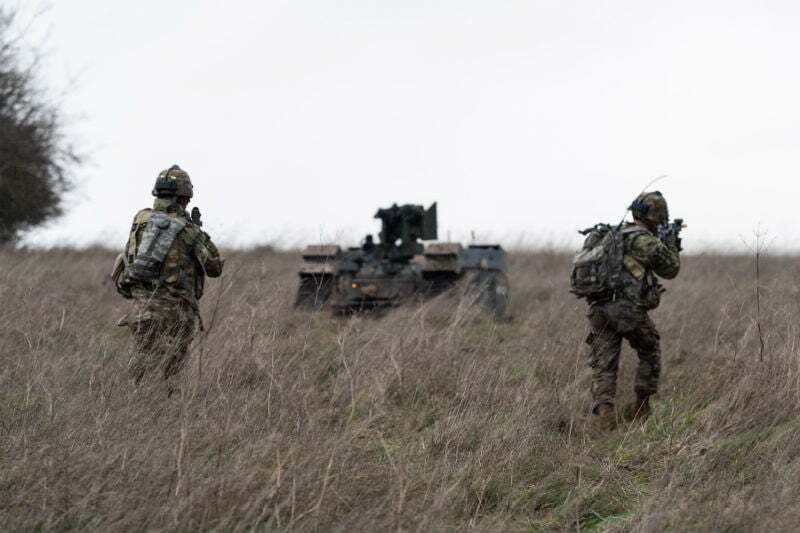 The exercise concluded with simulated battlegroup experiments, in which the best ideas were put to the test in tough operational environments. Challenges included incorporating unmanned aerial vehicles to improve localised situational awareness on the front line, and developing an ‘autonomous warrior’ vehicle that could apply multiple technologies simultaneously. The technologies trialled at Autonomous Warrior 2018 offer an exciting glimpse into the potential of automation and robotics in reducing casualties on the battlefield. For all intents and purposes, Exercise Autonomous Warrior was so much more than a defence technology showcase. 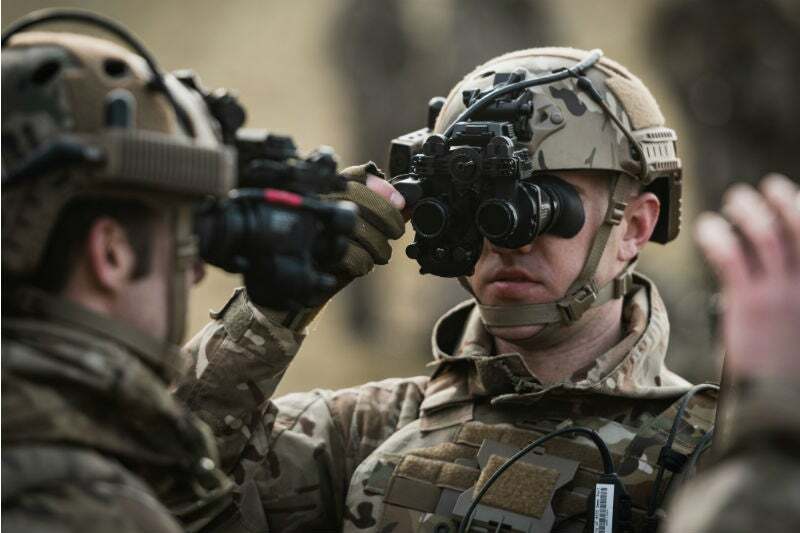 Leading defence companies had the chance to develop a full range of technologies across different application areas, from situational awareness and decision support, movement and manoeuvre to firepower, force protection and sustainability. Ministry of Defence (MOD) assistant head of capability strategy and force development Colonel Peter J Rowell MBE says: “One of the principal aims of Autonomous Warrior, if not its principal aim, was to provide an opportunity for industry to rapidly develop their robotic and autonomous systems by being in a representative environment with real operators for a sufficient period of time that meant that they could go through a number of development cycles. “The industry partners that came along and participated in the four-week activity were able to get through several generations of their development and really get a good understanding of our use-case requirements. One of the key objectives behind Exercise Autonomous Warrior is to provide novel solutions to current defence challenges. Rowell mentions two examples that were observed over the last 18 months or so, and how participants attempted to solve these issues at Autonomous Warrior. The first challenge to overcome was developing localised situational awareness of forward tactical troops. 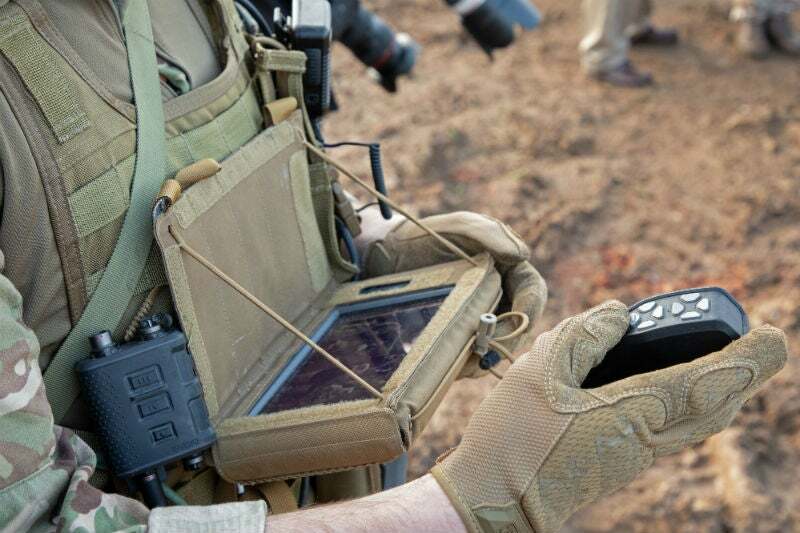 The troops quickly discovered that, in the presence of an unmanned aerial vehicle, they became disoriented and the drone controller began using the UAV to flush the enemy out of hiding or to herd forces into a particular location. Another concept was to develop an autonomous land vehicle that was not limited to a specific task, but could perform a range of tasks incorporating multiple technologies. “We had a nascent idea at the beginning of it, that because the exercise was called Autonomous Warrior Land, wouldn’t it be a great idea if we could automate a warrior fighting vehicle?” says Rowell. Rowell notes that a person sat at the helm of the land vehicle for safety reasons, but the vehicle was controlled remotely. Although it is still in the early stages of development, Rowell says an unmanned vehicle like this one would be an advantage on the battlefield, not just for unleashing attacks, but also to draw fire away from soldiers and more valuable assets. “One of the use cases that you can see from that is that if you are about to plunge into a very heavily defended area, for example an urban area, it is probably a good idea to have your lead vehicle with no people in it because it is going to be a bullet and roadside bomb magnet and that’s probably quite a good idea,” he says. Central to Autonomous Warrior is the MOD’s effort to develop future technologies that could be incorporated into real operations of today. While some novel concepts may need years to develop, Rowell’s team hopes to integrate the more mature technologies soon. Rowell says: “The idea is for us to explore what we have learned in the partnerships that we have developed in a number of areas, and one of those is to draw some of the most mature of these into the hands of our soldiers on operations, or being ready for operations, or in training, as quickly as possible. The industry partnerships developed during Autonomous Warrior will continue to grow long after the exercise wrapped up in November. “It is part of our efforts within the army to continue to improve and deepen our interaction with industry and we will soon be launching an army industrial engagement framework, which will outline how industry and the army can work more closely together, and Exercise Autonomous Warrior is a brilliant example of that type of interaction that we are seeking,” says Rowell. The MOD is holding an exploitation conference on 5 March 2019 in London, and one of the main discussion points will be how to reduce the risk of harm to soldiers and give warfighters the greatest possible advantage in battle.